The Multicultural Business Programs student organizations were big winners at the 16th Annual MSU Student Life Awards held April 19 at the Kellogg Center. 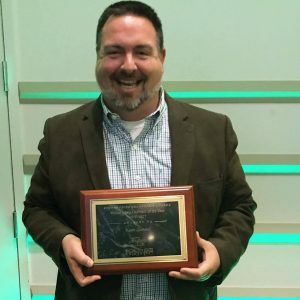 Dr. Kevin Leonard, senior program coordinator for Multicultural Business Programs and faculty advisor for Native American Hispanic Business Students, won the Walter Adams Advisor of the Year Award. Native American and Hispanic Business Students won Innovative Program of the Year for its Professional Development Dinner and won Outstanding Professional Organization Award. The Women in Business Students’ Association received Honorable Mention in the Student Organization Achievement category.